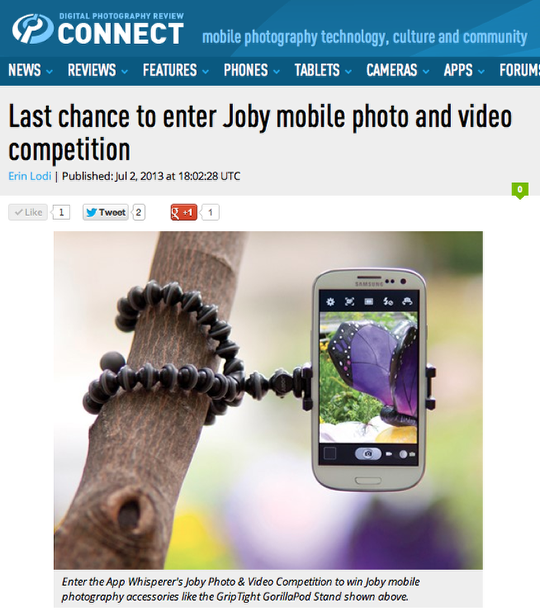 With many thanks to our friends and colleagues at dpreview who have featured our Joby Mobile photography and video competition. We are offering some great prizes, it’s the last day to enter today, don’t miss this fabulous opportunity to enter your ‘extreme angle’ images or videos. Find out more here.